Many mummies and readers of my blog actually asking me this question quite frequently.. so I though it will be good to share on this topic again.. i had written this few years ago when I was breastfeeding my Marcus boy..
At night feed 2 hourly before 12 midnight, then at 2-3 am and again at 5-6am. Good to co-sleep in the same bed with baby. Get ready yourself and set your mindset right from the beginning - breastfeeding does come naturally but to make it a success it is not easy (only on the beginning - and it will be easier and easiest just like ABC once you have established the milk and you are master of it) - why I said this here? it is because i see many mummies fail is due to they though breastfeeding is easy and naturally - that why they don't expect it is tough and when the expectation doesn't match with the reality and they tend to let go and thus fail. And you must think why I highlighted the two point on top in RED??? - our generation and or our parents generation are all influenced deeply by the Formula Milk company and the knowledge of this generation are practically handling baby care by Formula Milk. that's why there are misconception about the frequency of feeding.. and duration of feeding baby.. as well as how long does baby want to suckers on mummy's breast. No limit Duration or frequency to satisfy baby's suckling needs - baby has strong suckling desire (this is natural) and by letting baby sucking more meaning you are giving more demand to your breast to work harder for more milk supply to comes to catch up with the demand later on. Do not look at the clock or to time baby to tell when baby is hungry. Baby know the best.. do you think you know whether if the baby is hungry? they should know best right? so just feed the baby whenever baby is hungry. 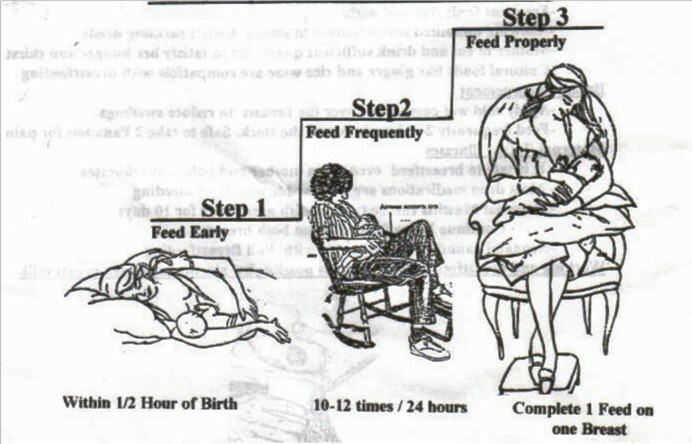 ok i hope the above can help any mummy who intend to breastfeed their baby!!! Again I will say.. I can do it!! Many other mummies can do it!! and YOU can do it as well!! !